We all need some fun and humor to spice up our life. It wouldn’t be wrong to comment that various types of funny icons are trending nowadays on different platforms such as social media, t-shirts, kid’s costumes, their accessories and on other mediums such as print media, on web pages, for online brand promotion and much more. The demand for innovative and unique free funny icons have increased and therefore the artists and graphic designers are creating some outstanding figures which can make people laugh and at the same time have a visual appeal. Today these comic emotions are not only attracting the children but even the adults. This funny Santa Icon set is available in the set of sixteen. Santa Claus always attracts kids on Christmas. They can be used for the commercial purpose and for custom work as well. This funny icon can also be used for custom work. However, for commercial use you have to obtain a license by visiting the site. It is available in a set of six icons. This funny cat shadow icon will certainly draw the attention of kids. This has a freeware license and can be used for commercial and custom use. It is available in six sets. This is yet another popular funny icon which is extensively used in the toys, kid’s clothing and other accessories. You can get it in a set of six and use it for the custom work. For commercial use visit the back link. The funny smiley icon is common these days as it is widely used in all social media platforms such as Facebook, Twitter or Whatsapp. It is available in a set of ten and used for commercial purpose. Now this is another funny icon that will fascinate the kids as it is mostly seen in the cartoon. It is free for non-commercial usage and contains a set of about eleven icons. Nowadays the artist and the graphic designer have been creating this beautiful and eye-catching funny icon invariably used in kid’s attire, school bags, lunch boxes, and bottles. It contains a set of 50 icons. Also, can be used for custom activates. A clown makes people laugh and so does this funny icon named Funny Clown Icon. It can be downloaded in various file formats such as PNG, SVG, EPS, PSD, and others. This is a funny icon for free which you can download in different file formats including PNG, SVG, EPSS, and PSD. This icon is used for designing masks worn for amusements. A dog is another figure which is commonly shown in cartoons to amuse kids and hence this funny icon has been designed with the same purpose. Again you can utilize it on costumes and accessories. This Funny Robot Icon will certainly allure your kids and hence it is usually used in the beautiful toys and other children items. Although the design is simple but it is elegant. Goofy is a famous cartoon character and by designing its face through a funny icon you will bring a smile on the kid’s face. The eyes are expressing the emotion. This funny clown face icon is designed in a simple manner although it is expressing the emotion through the eyes. The nose too is looking attractive. 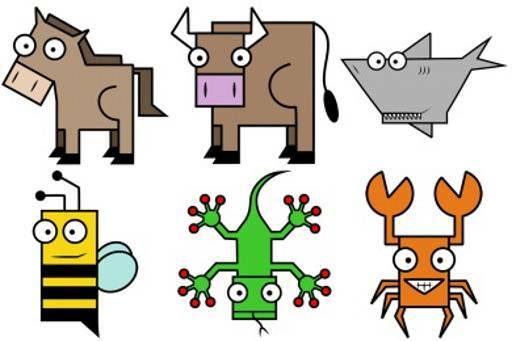 The funny animal icon has been designed to create humor and its face has been used in children books. You can it in advertisements promoting chocolates and biscuits. This Funny Animal Head Icon has been designed in an interesting and unique manner. It comprises of no head as such but two eyes bulging right at the center. It can make people laugh. The Funny icons play a vital role in our life in bringing a smile on our face; thus reducing some stress. It can be designed creatively which can express various emotions. We all use them almost every day in our lives while texting message, commenting on a post or sharing a joke with somebody.